Lockheed Martin will be investing about $13 million in the next three years to establish a new research and development centre in Melbourne. 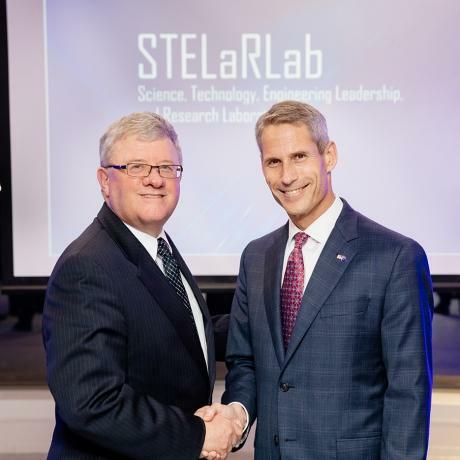 The new Science Technology Engineering Leadership and Research Laboratory (STELaR Lab) is the first for Lockheed outside of the US, and is expected to open in early 2017. The Lab will have the ability to assess and test new technologies in areas such as hypersonics, autonomy, robotics and command, control, computer, communications, intelligence, surveillance and reconnaissance. Lockheed said it will create premium jobs for science and technology graduates and will grow to more than 20 employees in three years. Lockheed CTO, Dr Keoki Jackson, said the decision to establish a multi-disciplinary R&D facility in Australia was partly based on its own track record of R&D success with Australia’s Defence Science and Technology Group and Australian Universities in the past 20 years. “Lockheed Martin laboratories operate on the frontline of applied research and development, and have been responsible for many advanced technology breakthroughs,” Jackson said. Lockheed A/NZ CEO, Raydon Gates, said the lab marked a significant step change in Lockheed’s capabilities in Australia, paving the way for deeper collaboration with partners and customers. STELaR Lab will be situated between University of Melbourne and RMIT. Minister for Defence Industry, Chris Pyne, said the centre will provide collaborative research opportunities with the Defence Science and Technology Group in the Australian Department of Defence, as well as universities and small-and-medium enterprises. “Together with the Next Generation Technology Fund, the government is investing more than $1.3 billion in the next decade to build the innovation capabilities of Australian industry, academia and research institutions,” Pyne said.